✔5 Simple examples of what to send your subscribers. Almost done... Please complete this form to get access. 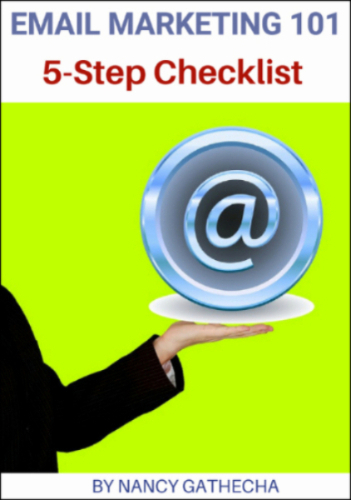 Get your bonus checklist when you subscribe to my FREE Digital Marketing Tips Newsletter. Your information is safe and you can unsubscribe anytime. Download yours and start getting new leads today. We value your privacy and promise to protect your information. Thanks for requesting the free resource. You're just 1 click away from completing the process. I've just sent you mail from NancyG(at)nagadigital.com. Check your inbox, locate my email and open it. Be sure to check the spam folder and Gmail promotions tab now. Your free download awaits you. To get the promised content, kindly click on the email I just sent you.